So how's that economic recovery going for you? Not so bad for many A/E firms, apparently. PSMJ reports that there is an overall growth trend in our industry reflected in expanding backlog, revenues, and proposal opportunities. Firm leaders are increasingly optimistic about future prospects. I'm not ready to jump on that bandwagon quite yet. The macro-economic indicators are still ominous, and uncertainty dogs even the most promising markets. Any firm leaders expecting a return to normalcy in the foreseeable future would seem to be risking a huge letdown, from my perspective. I think it wise to remain diligent in positioning your firm for the new normal. 1. Serve, don't sell. Most technical professionals aren't entirely comfortable in a sales role because they've been on the other side of sales transactions. They have a strongly unfavorable opinion of salespeople (according to my informal poll), yet ironically adopt many of the same tactics in selling their firm's services. There's a better way: Serve the client; don't sell. Don't tell clients you're qualified; show them! Turn your discomfort with selling to your advantage, remembering what it feels like to be the buyer and how you'd like to be treated in that role. 2. Offer your "entree." 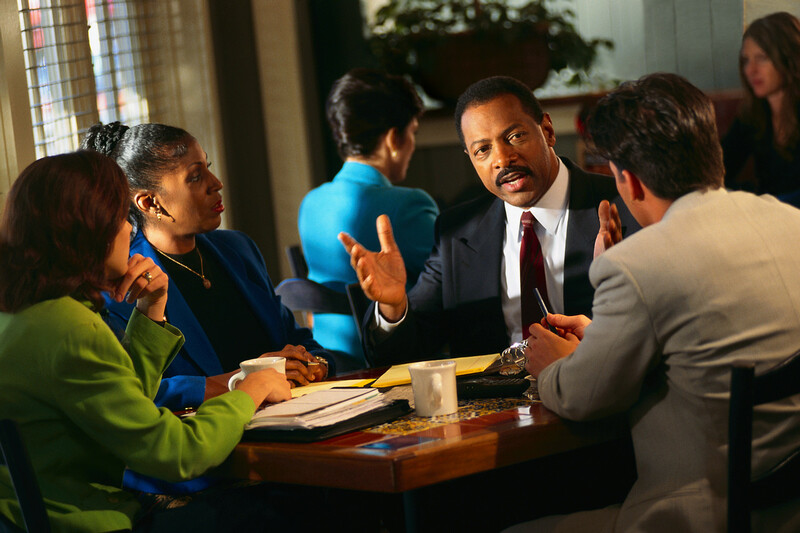 One of the best ways to serve the prospective client is to respect his or her time. If the average sales call takes about an hour, what does the client get in return for that investment? Usually not much. Set yourself apart by consistently providing something of value in exchange for the client's time, what I call an "entree." This includes information, advice, or help regarding a specific need or problem. Sales researcher Neil Rackham (SPIN Selling) writes: "High-end selling and consulting are not different and separate skills...When we are watching the very best [consultants] in interactions with clients, we cannot tell whether they are consulting, selling, or delivering." 3. Be persistent in following up. Research indicates that about 70% of sales leads are lost through neglect or mismanagement by the seller. A big part of the problem is a simple lack of follow-through. Yes, we get busy and fall behind in our sales duties. We're also concerned about overdoing it and being perceived as a pest. But if you're diligent in serving the client and offering your entree in every sales call, you're unlikely to be viewed as a nuisance. On the contrary, clients appreciate consistent follow-up; it's a sign of interest and commitment. Having trouble getting prospects to return your phone calls? Give them a good reason to call. 4. Plan your sales calls. Time spent with a prospective client is too valuable to leave it to impromptu conversation. Yet that happens all too often. Sure, some of us are pretty good on the fly. But not as good as we could be if we planned our sales calls in advance. When I started doing this, even after several years in sales, it made a big difference in the quality of the sales conversations and in my win rate. Don't pass on this simple step to increasing your selling success. 5. Focus on relationships, not transactions. We all seem to agree on the value of lasting client relationships, but most A/E firms still take a transactional approach to sales. This means a focus on identifying project leads, tracking RFPs, and writing proposals. One way to assess your firm's balance between relational and transactional selling is to compare sales labor "upstream" and "downstream" of the RFP. How do you transition to a more relational approach? Develop a relationship building process. Start the process by screening prospective clients for relationship potential, and leverage the relationship all the way to the close of the sale. 6. Develop your skills at sales conversations. Again, we're not selling per se, but uncovering needs, offering solutions, building relationships. The best place to start is to focus on your listening skills. You can't be a great listener until you truly care what the other person has to say, an attribute most salespeople lack. Having planned your sales call, you should have some good questions in mind and how you want to ask them. Go beyond uncovering technical needs, and explore strategic and personal needs as well. Watch your pacing; many technical sellers tend to push the conversation along too quickly, missing valuable insights. 7. Seek evidence of mutual commitment. I learned the hard way that taking a service-centered approach to selling can entice a few clients to take advantage of you. These clients will invite you to return with more helpful information and advice, but have no real intention of hiring your firm. That's why I counsel sellers to "climb the Commitment Ladder." This means asking for reciprocal actions on the part of the client that indicate a mutual interest in building the relationship as the sales process progresses. Ask for increasingly greater commitments over time, roughly commensurate with the efforts you have made to serve the client. If the client balks, that may suggest it's time to move on. 8. Give appropriate attention to existing clients. On the surface this would hardly seem to qualify as a "top tip." But I regularly encounter firms that I think spend too much time chasing new clients and too little expanding opportunities with existing ones. I would encourage you to have an account strategy for all your top clients. Leaving these crucial relationships to ad hoc efforts is unwise, and yet all too common. You might find it helpful to assess where you are in the client relationship life cycle with each of your clients, and determine how to advance to the next level for each. Bottom line: Invest more time growing existing client relationships. There's always someone out there trying to steal your clients away. 9. Align your sales approach with the client's decision process. People usually follow a predictable, if unconscious, sequence in making a buying decision. First they must recognize a problem or need. Then they search for more information about the need and possible solutions, evaluate different alternatives, and make a choice. You should know where the client is in this decision process and align your sales approach accordingly. Our tendency is to get ahead of this process. Furthermore, different buyers within the client organization may be in different places in the decision process. Customizing your approach to different buyers will give you a leg up on the competition. 10. Budget your sales time like project time. Many technical practitioners have trouble being consistent in their sales efforts. Part of this is the aforementioned discomfort with selling. But a large part of it is the tendency to yield to billable tasks rather than overhead functions like sales when the two are competing for your attention. One way to combat this is to budget specific hours for sales just like project time. Give sales the same priority as any project task.